On-site training – we bring the training to you anywhere in the U.K.
Whilst you can take most of our courses at our training centres throughout London, you can also book onsite training where we visit your workplace or other venue to carry out your training. Once you’ve booked the course with the number of delegates required, we will arrange a date and time to visit your workplace or venue of choice to conduct the training course. The course tutors and all of the training resources required are brought to you. All you need to provide is a room which is large enough to accommodate all of the delegates and any practical exercises (information about this will be supplied based on your course of choice). We then take care of the rest! Ideal for multiple delegates – Instead of sending a large number of people to one of our training venues, we can simply bring the course to you. Cost savings – You could make substantial savings compared to paying for your delegates to travel to an external venue. Time – As delegates don’t have to travel, they spend less time out of the business. If your course is a half-day or less, then delegates could spend the remainder of the day in work instead of travelling. Familiar surroundings – Delegates can train in their own workplace or another familiar venue to help them feel more confident and at ease during their course. Tailored courses – In some cases, on-site training allows us to tailor the course to your workplace. For example, we can conduct practical examples based on your own first aid equipment or safety protocols. Nationwide – We can provide training anywhere in the UK (additional travel expenses may be charged in areas outside of the M25). 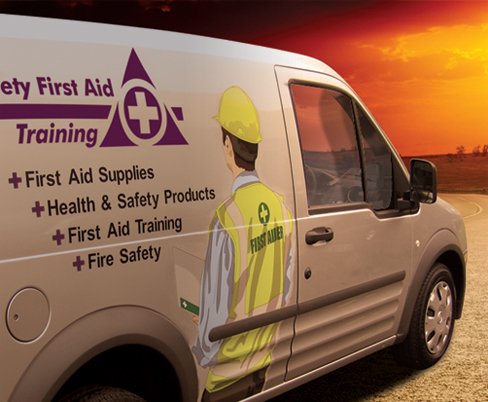 Contact us to enquire about on-site training.